If you’re having overnight company, there are several options to help you get a nice breakfast on the table with little effort in the morning. You can make a sausage and egg breakfast casserole the night before and serve with fruit. You can mix up some buttermilk biscuits the night before and bake them in the morning. You can also try this baked French toast with streusel recipe for a great breakfast option. It’s covered with brown sugar and cinnamon streusel, made with challah bread, and has a syrupy layer of brown sugar and butter on the bottom — all things that will make the aromas coming from your kitchen so tantalizing that your guests will be drawn in and salivating before the dish comes out of the oven. The bread is important. If you can’t find challah bread then use regular French bread, but make an effort to find the challah—it makes a difference in the taste of the final product. This recipe is adapted from Virginia Willis’ French Toast Casserole recipe. Virginia Willis is my cooking idol. Southern born and raised, she went off to France to study fancy cooking, and now her recipes show an elevated knowledge of the melding of flavors and ingredients. 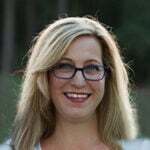 She takes old Southern favorites and infuses them with new tastes and methods to create palate pleasing surprises. And, of course, her cookbooks still contain lots of Southern classics just the way they’ve always been made. To make the overnight French toast, start with melted butter and brown sugar and mix together in a 9×13 baking dish. Add sliced challah bread over the butter and brown sugar. This photo is actually French bread, and although it shows the crust still on the bread, I’ve decided that I like it better with no crust. 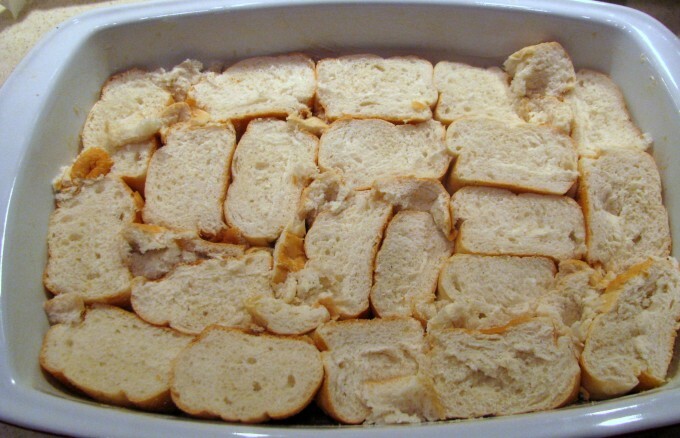 Mix half and half with eggs, vanilla, cinnamon, ginger and Grand Marnier and then pour over the bread slices, making sure each one gets covered in liquid. That’s it for this step. Now just cover the dish and refrigerate over night or at least several hours. The bread will soak up all the liquid. When you remove the casserole from the refrigerator, sprinkle the streusel on top and let sit for half an hour before baking. Most streusel recipes contain chopped pecans, but my family prefers baked goods without nuts, so this version can be made with or without nuts. 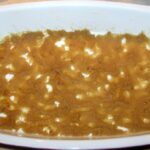 The casserole will take 45-50 minutes to bake to achieve a slightly crunchy top. When you first take it out of the oven, the casserole will be puffy and high over the dish, but let it sit for a few minutes before serving and it will sink down. The brown sugar and butter on the bottom create a syrup so some people will not want to add anything, but I personally like a little bit of warm maple syrup drizzled on top. 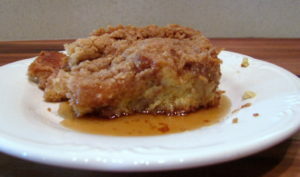 Brown sugar gives this french toast casserole a crunchy streusel topping with a bit of syrup underneath. 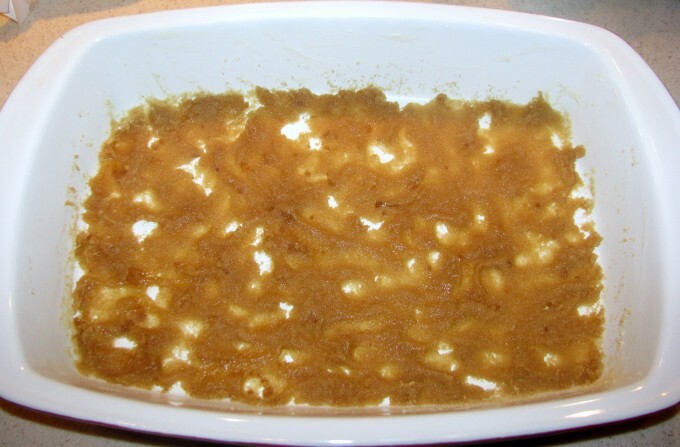 Combine 1/4 cup melted butter and 3/4 cup brown sugar in a 9x13 baking dish and spread evenly over the bottom of the dish. Lay bread slices over the brown sugar. Whisk together eggs, half and half, vanilla, cinnamon, ginger, nutmeg, Grand Marnier, and salt until well blended. 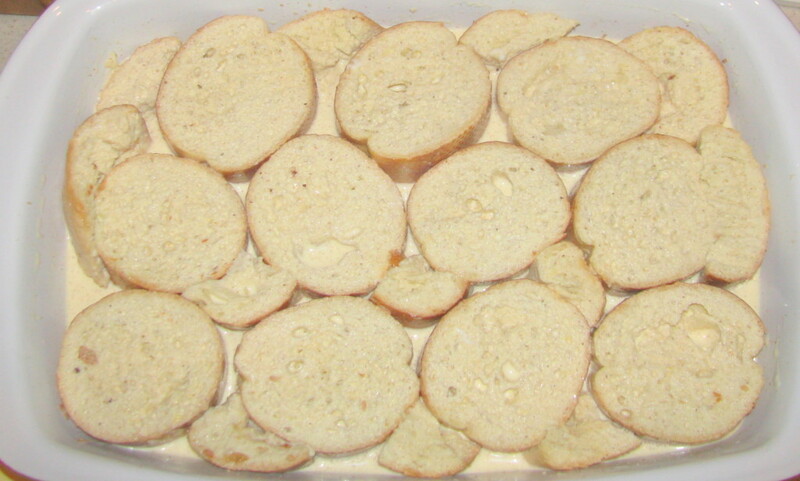 Pour egg mixture over the bread slices, covering each piece of bread with liquid. Remove from refrigerator at least half an hour before baking. In a large mixing bowl, stir together flour, brown sugar, cinnamon, nutmeg, and salt until well mixed. Using your fingers, work the butter in until the mixture resembles large crumbs. If using nuts, stir in the pecans and mix well. Do not over mix or your topping will turn mushy. Sprinkle all of the topping evenly over the casserole prior to baking. Bake casserole until set and top is nicely browned, about 45 minutes. Remove and let cool slightly before serving. This looks yummy x 3! I’ll be trying it very soon. Thanks, Shawn. It is delicious and great for company.